Saturday Night at the Movies: "Roxanne"
There's a specific reason that I get so very, very angry whenever Steve Martin appears in a lazy, hackneyed piece of garbage like The Pink Panther or Cheaper by the Dozen or It's Complicated, and that reason is Roxanne. He wrote and starred in this 1987 re-imagining of Rostand's Cryano de Bergerac, and he came up with perhaps the single finest romantic comedy since Annie Hall. The tone is whimsical, rhapsodic, without ever coming of as sappy or precious; Martin, with a comically oversized nose, has never been as likable or charming in a film. His script is an absolute gem--it's so beautifully written, even Daryl Hannah comes off well--and is both lushly romantic and slam-bang funny (a combination seen with rapidly decreasing frequency in the years since). I saw it in the theater in its original release; my VHS copy was, to put it mildly, well-worn. But I never miss a chance to take another look at Martin's masterpiece. Watch it here for free. Crackle won't let me embed, the bastards. 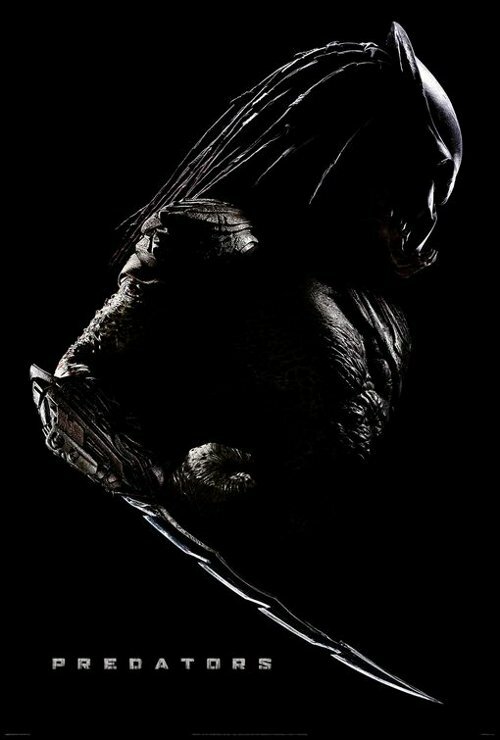 Predators: I was just the wrong age for Predator; it came out when I was about 11, just barely too young to see it, and I never really bothered to catch up. So the news that there's a new sequel or reboot or whatever isn't all that interesting to me, even though Robert Rodriguez is producing and the skilled Nimrod Antal (who did Vacancy) directs. But it gets high marks from both Rich and Orndorf at DVD Talk. Despicable Me: Computer animated 3-D family comedy. Sure you guys didn't wanna put a couple more weeks between this and Toy Story 3? The Kids are All Right: Everybody is over the moon about this one-- Hoberman, Ebert, and Morgenstern all give it glowing reviews, and the latter calls it "a thrillingly funny and casually profound film." Hoping to see it this weekend; keep an eye out for the review. The Girl who Played with Fire: Sometimes you have to just give up, because you missed something completely. The first Girl Who movie slipped right past me. I haven't read the books, I don't know what the hell's going on. It's like me and Glee at this point-- how do I know so little about these things that I'm already tired of hearing about? A Single Man: Tom Ford's debut film as writer/director is an astonishingly assured and confident character portrait, beautifully understated and dizzyingly well-made. It's a little slight, but that's kind of the point--it spends a few vital hours with one man and, in the process, paints a specific and tangible portrait of a particular time and place. 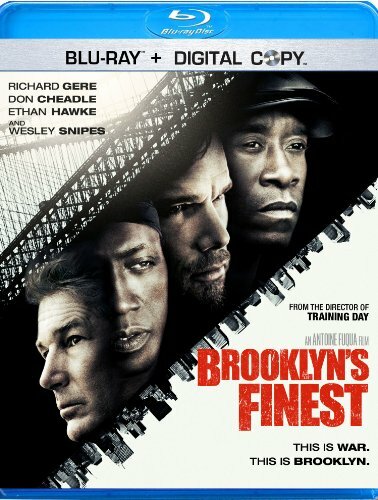 Brooklyn's Finest: First-time screenwriter Michael C. Martin's screenplay sometimes grinds the gears, and relies (particularly in its opening scenes) on a pretty heavy artilery of stock situations and characters. But once director Antoine Fuqua finds the story's groove, he lets the cross-temporal story structure give the film a fierce, smoking momentum. It's not as great a film as it wants to be, but it's still pretty damned good. On DVD: "A Single Man"
Prior to A Single Man, Tom Ford had exactly one screen credit to his name, as tailor for the last James Bond picture, Quantum of Solace. In light of that, it’s downright stunning that his debut effort as director, co-writer, and co-producer is so smashingly assured; it’s one of the most confident film debuts I’ve ever seen. Ford’s background, and fame, is in the world of fashion—so, unsurprisingly, the film looks great (more on that presently). But it’s not just an empty magazine lay-out; there’s real, palpable emotion to it, and that is Ford’s greatest success.